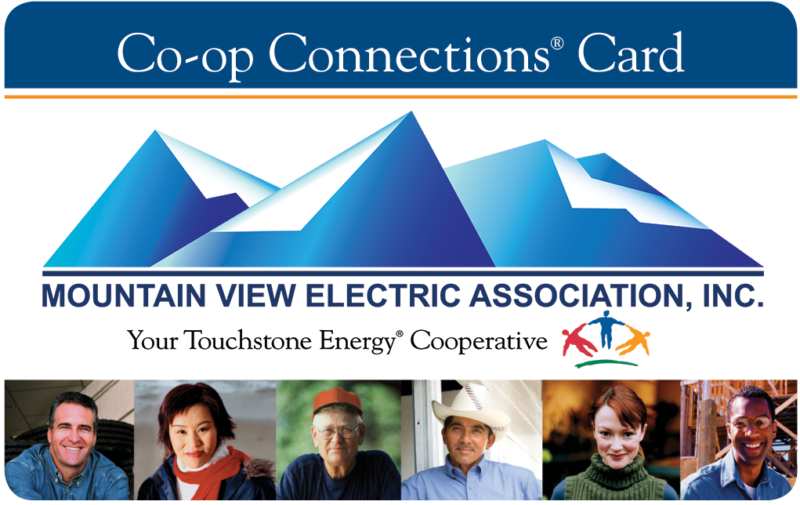 The Co-op Connections program is free savings for members of MVEA. How do I find discounts near me? The fastest and easiest way to find local deals is to download the Co-op Connections app on your mobile device. Once you register, you can search for all the local and national discounts near you! You can also use your desktop computer to search deals by visiting Connections.coop. Download the mobile device app for your Android or Apple iOS to find the deals near you! It’s simple! Just show your card or mobile app to a participating business and your discount will be applied. How do I save on medical needs? Healthy Savings is the place for you. By visiting the Healthy Savings site you can locate providers near you, print a copy of the Co-op Connections program, complete a prescription price comparison, and more! There are medical savings on prescriptions, eye care, dental care, chiropractic services, hearing aids, laboratory, and imaging. *Co-op Connections is a discount card, not an insurance. It offers great savings, but cannot be used in conjunction with your insurance. Co-op Connections is a joint effort to help co-op members support area businesses. This is a FREE advertising program. MVEA facilities the program for our 50,000+ members as an added benefit of being a member of our co-op. How Does MVEA Promote the Program? MVEA promotes this program through our monthly magazine, website, social media, and bill inserts. How Do I Sign Up My Business for Co-op Connections? Simply fill out the attached form – we can either pick it up in person, or you can mail it to: Mountain View Electric Association, Inc., ATTN: Erica Meyer 11140 E. Woodmen Rd., Falcon, CO 80831. You can also fill out a form online at: www.mvea.coop/cccpartner. Can I Adjust, Change, Add an Offer, or Discontinue My Offer? Absolutely! We want this to be a win-win for everyone. If you would like to adjust, change / add an offer, or discontinue your offer, you may do so at any time. Simply call 719-494-2654 or e-mail erica.m@mvea.coop.